It is November and all month we will focus on our side dishes for Thanksgiving. Whether you bake or fry your Turkey, stuff or dress it, it is all a personal preference. 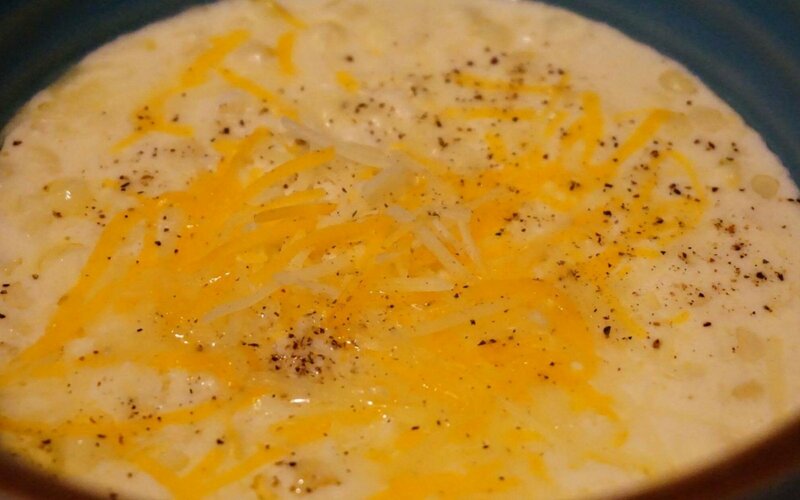 We will let you rely on your own favorite family recipe for those main staples. What we will feature this month will be an assortment of sides to accompany the main dish. Hopefully, there will be some different selections to change up Thanksgiving menus of the past. For this week, we are dealing with corn. Corn on the cob is too messy for such an elegant meal as Thanksgiving. I think for most, this meal is probably the one time a year you get out your fine china and nice linens. If you don’t, you should! I found some fresh silver queen corn at the local Harris Teeter. I begin by shucking and removing the silks and washing all the ears really well. Next, you will want to take a large knife and get all the kernels off the cobs. 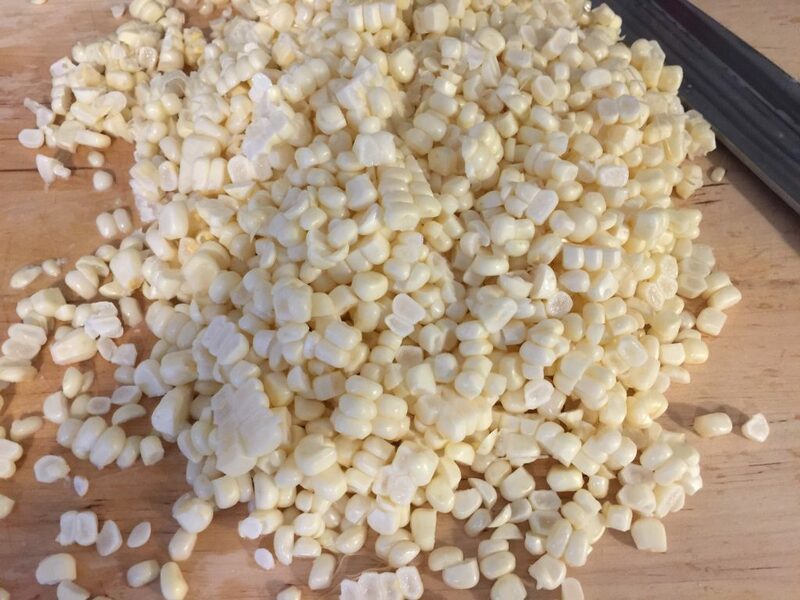 If you have a tool to remove the kernels, that is even better. This is a messy job with the juice and stray kernels going everywhere! Once you have removed all the kernels, place them in a mixing bowl. Next, whisk dry ingredients to the milk and stir well. 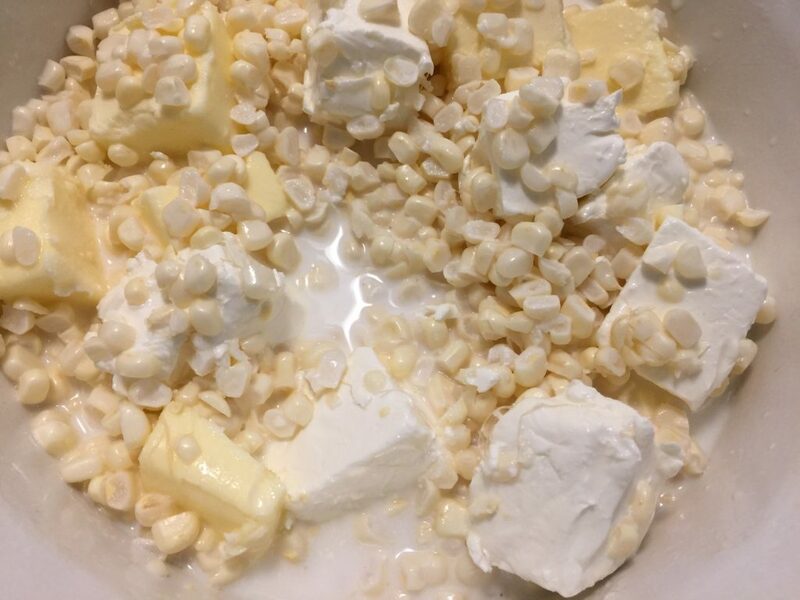 To the milk mixture, add rest of ingredients then add to your kernels, making sure all the kernels get coated. Spray your casserole dish with non-stick spray. Add the mixture to your casserole dish and bake. Bake in 300º oven for one hour, stirring every 30 minutes. Once this has finished baking, serve with sprinkling of the Cotija and Mexican cheeses. 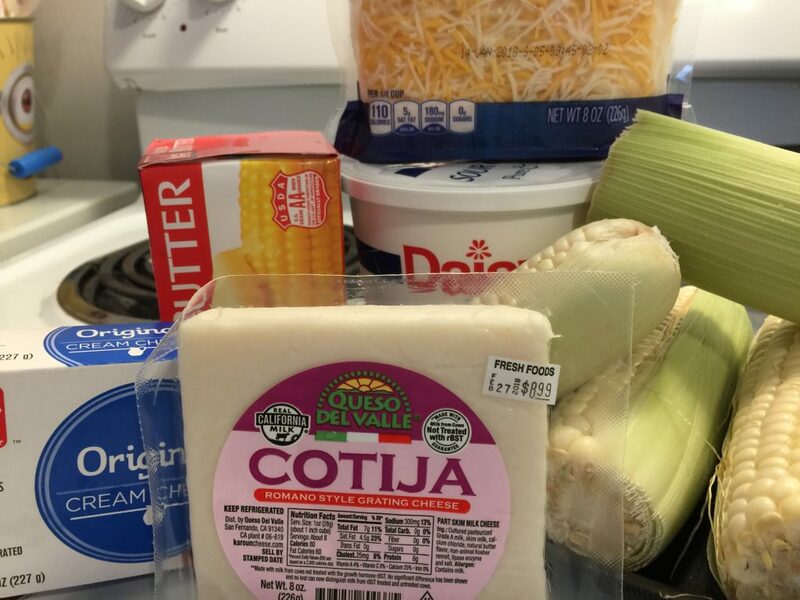 The Cotija cheese can be found where your local store keeps their International cheeses.